Revisiting: Will and should Venezuela sell Citgo? This entry was posted in Uncategorized and tagged citgo, refineries, usa, venezuela on July 30, 2014 by Steven Bodzin. Last Wednesday, Aruba arrested Venezuelan general, former counterintelligence chief, Chávez coup participant, and man-about-town (in which “town” is the Venezuelan-Colombian border) on a US warrant for alleged drug smuggling. The Florida indictment is here and (UPDATE) here is the New York indictment. They are worth reading for its own sake, if you’re into that kind of thing. He was then freed after Venezuela raised a stink over diplomatic immunity, as Carvajal had entered Aruba to become consul in the island nation. The affair leaves a heap of questions unanswered. Why did Venezuela name Carvajal to the post and then send him to the island, especially given Dutch opposition? Did the US for some complicated reason support freeing Carvajal? Was this all theatre, with something else entirely happening behind the scenes? Is Carvajal now an informant? Was he before? El Nacional indicated that, and I also heard this rumor elsewhere. Did he really travel to Aruba on N9GY, which belongs (indirectly) to Roberto Enrique Rincón and Jose Roberto Rincón of The Woodlands, Texas? (Columnist Nelson Bocaranda says he confirmed that fact, but I’ve been unable to do so. The Rincóns’ lawyer hasn’t responded to my e-mail asking detailed questions.) If so, what is the Rincóns’ connection to this guy? Did they really sell him out to save their skin, as one gossip rag claimed? There are more questions, but those are enough for now. Since I am mostly interested in natural resources and not in Venezuelan politics per se, you might go check these other sites for more coverage: Here’s Daniel and Kepler and Raul. Also for some reason the Wall Street Journal has been pretty dominant in the English-language reporting on this. If you want to get around their paywall, for a few days anyway, find the stories you want, google them, and then click through from Google for free access. Like this one, which is temporarily free from here. That Florida indictment again, and the New York one. Interesting. This entry was posted in Uncategorized on July 29, 2014 by Steven Bodzin. Arevenca, the fake oil company long followed around these parts, has offered to buy Cyprus Airways. Επίσης, ενδιαφέρον υπέβαλε και o ισπανικός όμιλος Arevenca Group σε συνεργασία με την επίσης ισπανική Fly Aruba και την Air Atlantic, σε συνεργασία με επενδυτές από ΗΠΑ και Καναδά. Το ιδιαίτερο ενδιαφέρον αυτής της πρότασης είναι ότι πρόκειται για εταιρείες στενά συνδεδεμένες με τον γνωστό μαςκαναδικό όμιλο Triple Five του Ναντέρ Γκερμεζιάν, που είχε και στο παρελθόν ενδιαφερθεί για τις Κυπριακές Αερογραμμές. That’s just a tease, as much is happening in Arevencaland. More soon. This entry was posted in Uncategorized on July 27, 2014 by Steven Bodzin. On the last day of June, Roger Mangía Vega watched an oil slick and a mass of dead fish float past this tiny Kukama Indian community and into the Marañón River, a major tributary of the Amazon. Community leaders called the emergency number for Petroperu, the state-run operator of the 845-kilometer pipeline that pumps crude oil from the Amazon over the Andes Mountains to a port on Peru’s northern coast. By late afternoon, Mangía and a handful of his neighbors – contracted by the company and wearing only ordinary clothing – were up to their necks in oily water, searching for a leak in the pipe. Villagers, who depend on fish for subsistence and income, estimated that they had seen between two and seven tons of dead fish floating in lagoons and littering the landscape. “It was the most horrible thing I’ve seen in my life – the amount of oil, the huge number of dead fish and my Kukama brothers working without the necessary protection,” said Ander Ordóñez Mozombite, an environmental monitor for an indigenous community group called Acodecospat who visited the site a few days later. This entry was posted in Uncategorized and tagged colombia, ecuador, environment, oil, pacific rubiales, peru, PetroEcuador, PetroPeru, pre.to on July 23, 2014 by Steven Bodzin. Today we get word that the Torre de David in Caracas may be sold/given/loaned/something to a Chinese group to use as offices. This is good news. The tower, also known as Torre Confinanzas, has become world-famous as a “vertical slum.” Or as I called it in a report on Monocle24, the world’s only squat with a heliport. It’s a 45-story building with a heliport, atrium, and parking garage. 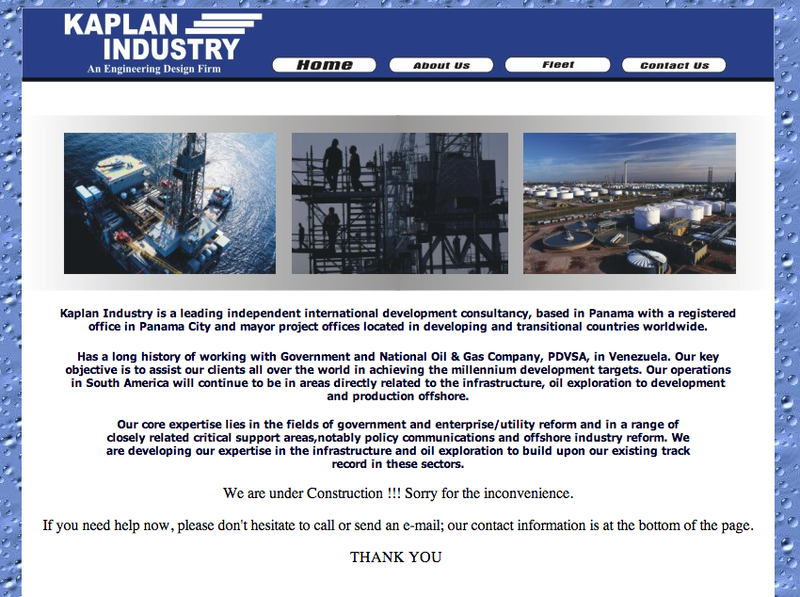 When mostly built in 1994, it was abandoned because of financing problems related to a banking crisis in Venezuela. The government’s bank intervenor, Fogade, took ownership of the tower, but did nothing with it for years. The place became a dangerous squat. In 2007, the mayor of Caracas, Juan Barreto, helped organize the mass invasion of the tower by hundreds, if not thousands, of families. Within days, hundreds of families stayed there night and day, clearing out trash, booting the addicts who had been squatting there in a less dignified way, clearing out corpses of animals and who knows what else. In the end, the popuation of the building swelled to as much as 5,000. Residents built apartments in the skeleton of the old office building. Today, it’s a barrio (slum) like almost any other — a few things about it are better than the typical peripheral slum, especially the location, professional security controlling access, and decent conflict resolution through a system of floor councils and a building council. Other things are worse, like the danger of falling to one’s death through unfinished shaftways. And many things are about the same — unreliable water, lots of stairs to arrive at one’s home, broken sewer lines. Somewhere in the middle of the 2000’s, Fogade prepared to sell the building. A private developer was ready to spend US$50 million on it, and committed to investing another $50 million to complete the building. According to my source inside Fogade, the contracts were written and ready to sign. And then President Hugo Chávez heard about it. He forbade Fogade from selling the building. It would be more fitting as the headquarters of a ministry, rather than being in private hands, Chávez supposedly said. But the ministries never got the money to complete and refurbish the buildings, and before they could, it was a formal squat and nobody wanted to evict thousands of people. This isn’t an energy story, but it’s a good story about what happens when ideology gets in the way of policy. I know a lot of people who fight against privatization of anything. In this case, what good did it do to avoid privatization? This building got lived in for 7 years, some kids fell to their deaths, and now the building ends up privatized anyway. It’s hard for me to see this as a big win. I am just glad to know that the government may find someone who can use the tower for its best and highest use, and that the residents might be given homes. Sadly, their new homes are likely to be crappy, and a similar cycle is most likely to begin anew. This entry was posted in Uncategorized and tagged banking, urbanism, venezuela on July 9, 2014 by Steven Bodzin.